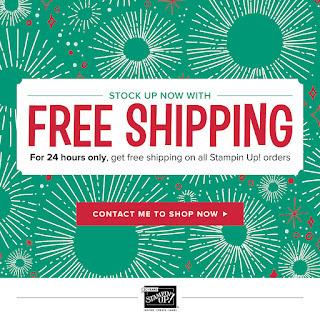 Free shipping is scheduled for Monday. 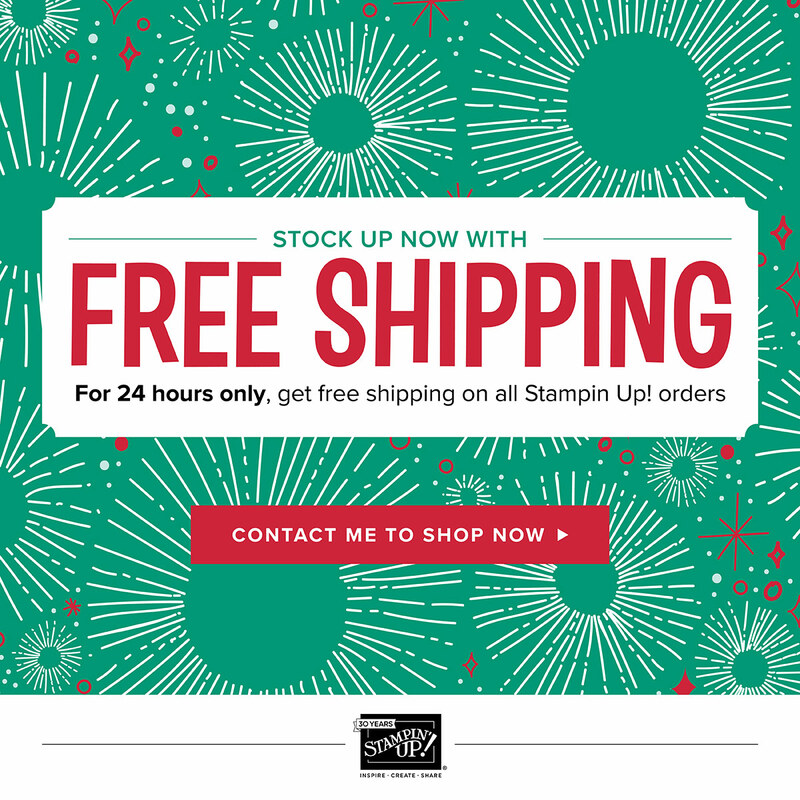 If you live in Canada, go to my online store here https://www.stampinup.com/ecweb/default.aspx. Please use HOST CODE K32UDKFT. You will receive a gift from me and a WOW card. Please note I will be on vacation, and will return in two weeks.